Fall is my favorite time of year. My family celebrates three birthdays, the weather gets cooler, the leaves change color and the holidays are just around the corner, so what’s not to love? It is also football season, beginning of school, and time to shop for the fall/winter wardrobe! You get to decorate with pumpkins, gourds and scarecrows! Take a drive through the countryside (especially if you live near a forest)! The advantage of living in Colorado is that we get to drive through the mountains AND view the leaves of the Aspens changing colors. Use your time to teach your kids about the difference between deciduous and coniferous trees. Visit an orchard or pumpkin patch. Nothing says fall like picking a pumpkin or gathering a basket full of apples! Go to a local high school or college football game! We love to cheer on our football players and enjoy the cool, crisp Friday night football weather. Show some team spirit and enjoy the energy and excitement!! Go camping! Sometimes fall can be the best time for camping, as it can be really hot to go in the summer or too rainy to go in the spring. Go hiking! If you don’t have the time to go camping, spend one day at national or state park near you with a picnic lunch and a hike in nature. 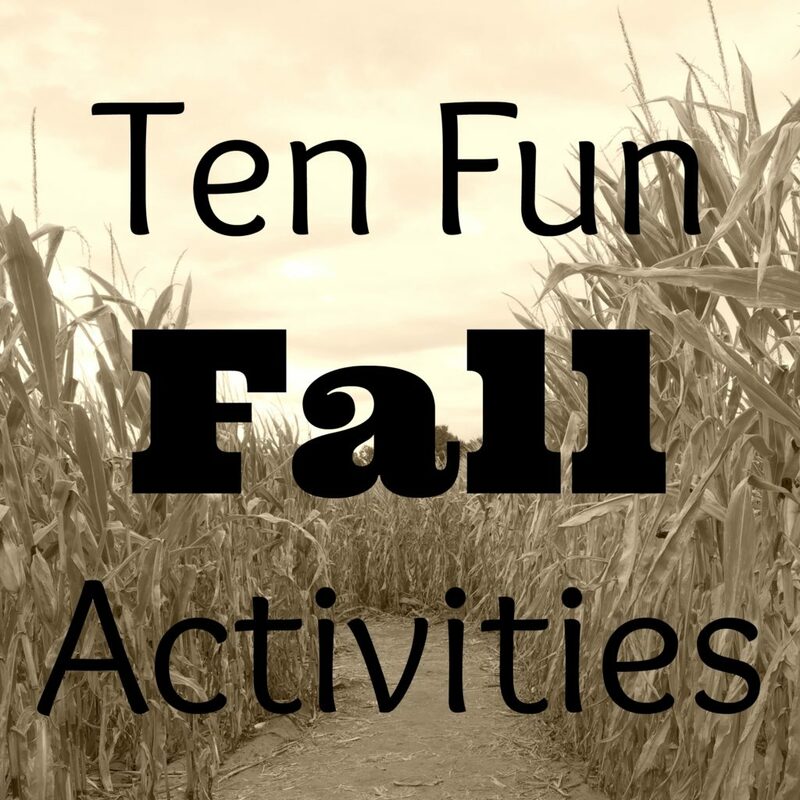 Go to a fall festival or two or three! Churches usually host free fall festivals, so look around your community and see what they offer. Run a 5k for a good cause! Fall weather is the perfect weather for running, so lace up those shoes and get out the jogging stroller! Make your own décor, from carving pumpkins to Halloween decorations and more! Do crafts with your kids! Make fall food! Here are some fun foods that are great to make when the weather gets colder: your favorite chili, pumpkin bread, blueberry muffins and stews. Sarah is a wife and SAHM of one active preschool boy and one on the way. Before becoming a SAHM, Sarah taught science to grades 8-12. She enjoys spending time with her family in various activities, especially hiking or other outdoor activities. She also enjoys reading, shopping, vacations and spending time with her friends.